We will send an email to as soon as the product Scream Mask - Halloween is available. 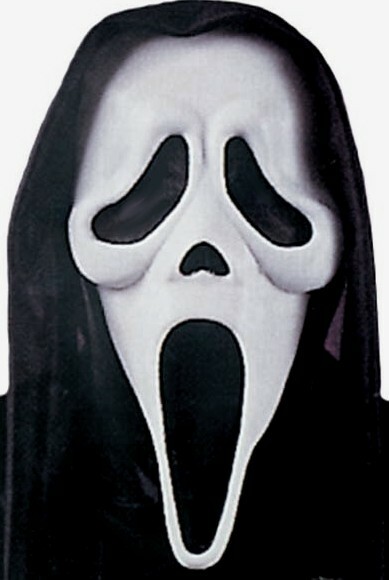 Scream Mask - Scary Movie. From the hit films 'Scream' and 'Scary Movie'.Scare everyone with this hooded rubber mask and fabric hood. One size fits all. ...JUST LIKE IN THE MOVIES!